Are you keen on photo booths? We think photo booths are always fun, and a great way to spend time with friends. 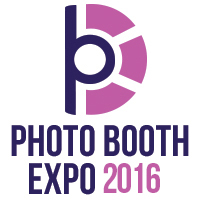 If you also like such pastime or intend to use photo booths in your business projects – visit the Photo Booth Expo, where our US distributor, 3D by Vue Thru, will present the new version of the 3D Event Live Vue software. Where: South Point Hotel & Casino Las Vegas, Nevada, USA. Triaxes invites colleagues, friends and 3D fans to the Halloween & Attractions Show, where our US distributor, 3D by Vue Thru, will present the new version of the 3D Event Live Vue software. new functionality of 3D Event Live Vue to make money – your client can see the 3D image of himself right away on the screen! Where: America’s Center in downtown St. Louis, USA. Booth 1527.